le chaudron de vulcain – January 27 , 2019. EN. 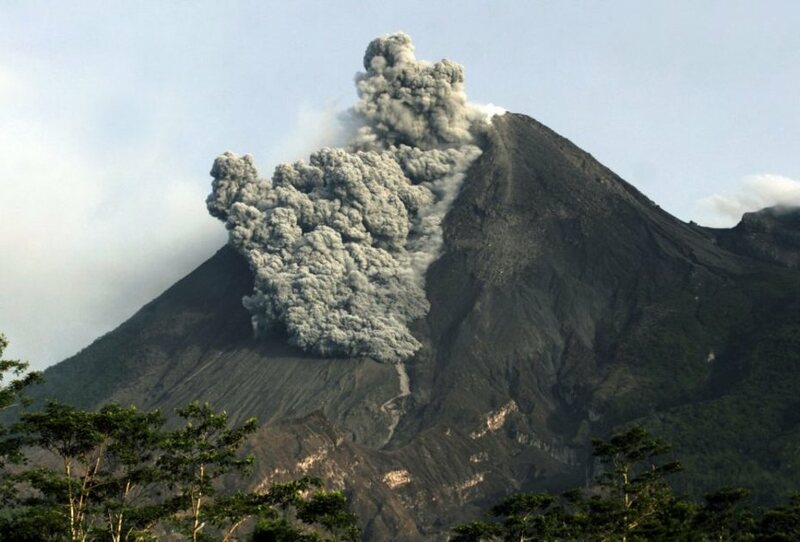 Colombia : Nevado del Huila , La Guadeloupe : La Soufrière , Indonesia : Merapi , Mexico : Popocatepetl . January 27 , 2019. EN. 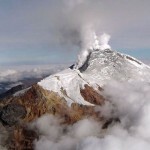 Colombia : Nevado del Huila , La Guadeloupe : La Soufrière , Indonesia : Merapi , Mexico : Popocatepetl . Home / blog georges Vitton / January 27 , 2019. EN. 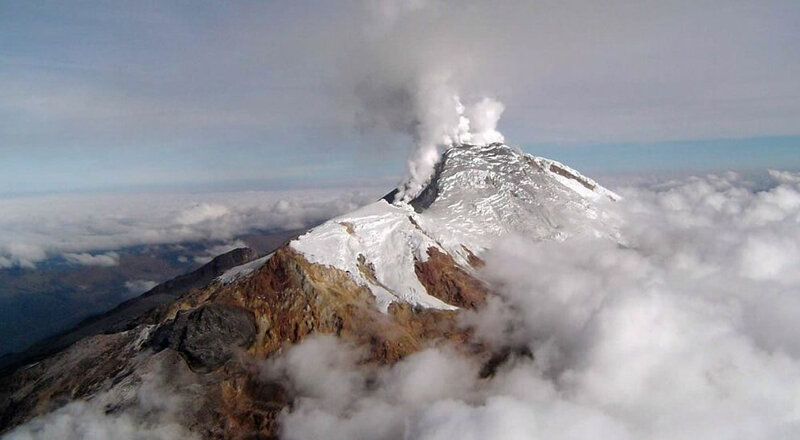 Colombia : Nevado del Huila , La Guadeloupe : La Soufrière , Indonesia : Merapi , Mexico : Popocatepetl . A magnitude 5.4 earthquake was recorded on January 26, 2019 at 07:32:24 local time, with an epicenter located 12 km northeast of the central peak of the Nevado del Huila volcano, in the municipality of Planadas (Tolima ), at a depth of 8.8 km. This event was preceded by a local magnitude 3.4 earthquake, located in the same area. Up to the date of this bulletin, about 1211 replicas have been recorded, some with local magnitudes greater than M3.0 and reported as having been felt in the surrounding areas at the epicentral area (Figure 1). The main earthquake would have been felt in Bogota DC, Florencia (Caquetá), Popayán, Silvia (Cauca), Soacha, Fusagasugá, Funza, Facatativá, Tenjo, Chia, Girardot (Cundinamarca), La Plata, Neiva (Huila), Putumayo), Armenia (Quindío), Pereira, Santa Rosa de Cabal (Risaralda), Herveo, Espinal, Ibague, Planadas, Gaitania (Tolima), Cali, Palmira, Pradera, Riofrío, Ulloa, Jamundí, Florida (Valle del Cauca). In addition, damage was reported in houses, glass shards and rock falls in the municipality of Páez. The following table lists the most notable seismic events. It is true that the earthquakes are located in the area of influence of the volcano Nevado del Huila, a tectonically active zone, where exceptional events such as that of January 2014 (Ml 5.2) and July 2018 (Ml 4.5 ) have occurred. These events are not located under the volcanic building and have not affected other parameters of volcanic monitoring; the level of activity of the volcano has not been changed, which continues in yellow / level III. Wednesday, January 23, 2019 at 17:50. The sequence of volcanic earthquakes that began in the La Soufrière volcano area on January 18 at 00:19 local time (18 January 04h19 universal time *, UT) ended on Wednesday 23 January 06:51 (GMT *, UTC ). During this sequence, 501 earthquakes were recorded. The earthquakes were of very small magnitude (M <1). 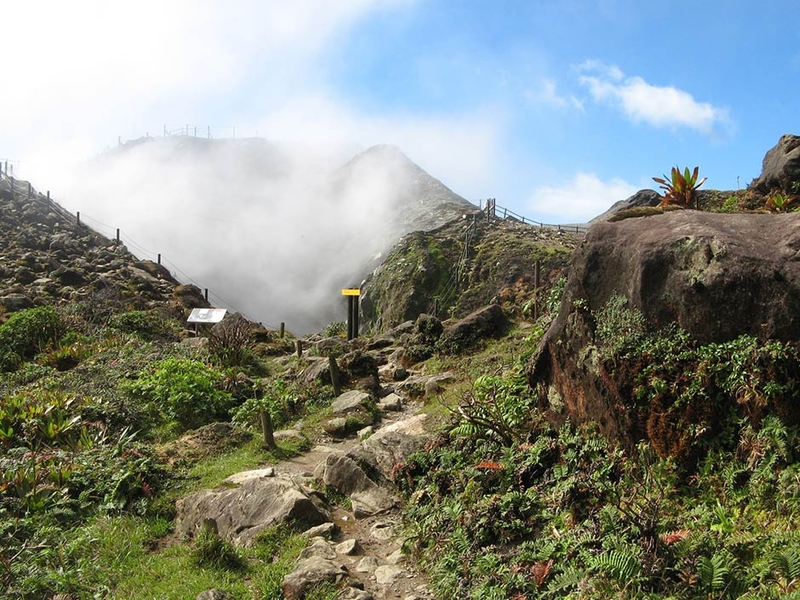 The events were located at a depth of <2.5 km under the summit of the dome of La Soufrière. No earthquakes were reported felt by the population. The alert level remains: yellow, vigilance. The weather is sunny in the morning, afternoon and foggy evening. The smoke observed from the crater is white, thin, with a low gas pressure. The maximum height of 50 m was observed from the Kaliurang observation post on 23 January 2019. Morphological analysis based on photos of the Southeast sector showed morphological changes in the shape of dome growth. Appendix 1.a presents morphological analysis of the peak made by the Deles camera station. As of January 22, 2019, the volume of the lava dome was 461,000 m3 with an average growth rate of 1,300 m3 / day, lower than the previous week. 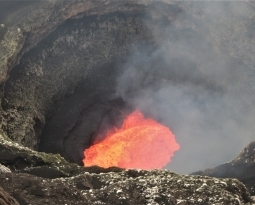 Currently, the lava dome is still stable with a low growth rate (<20,000 m3 / day). 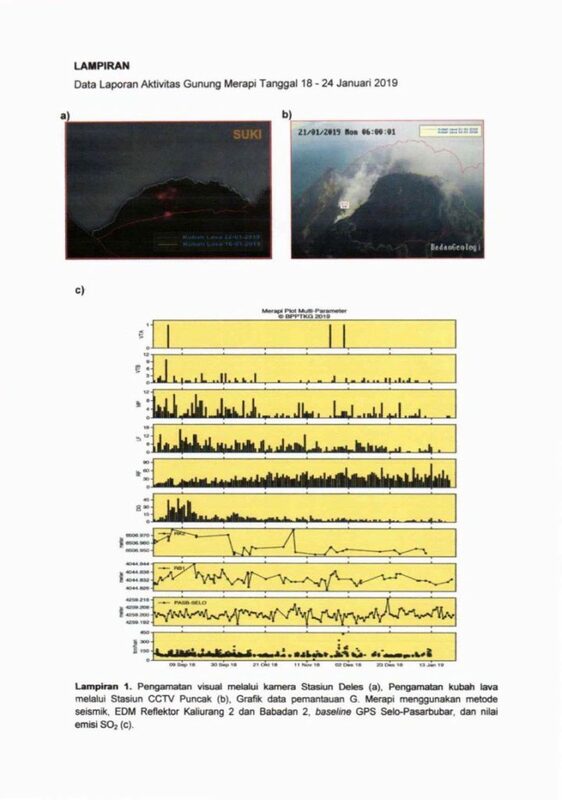 Appendix 1.b presents an analysis of the lava dome from the Puncak camera stations. This week, the seismicity of Mount Merapi recorded three earthquakes of emission (DG), one shallow volcanic earthquake (VTB), 223 avalanche events (RF), 2 low frequency earthquakes (LF) and 7 earthquakes (TT ). Annex 1.c presents a graph of seismicity at Mount Merapi. The deformation of G. Merapi, monitored by EDM and GPS this week, showed no significant change. Appendix 1.c presents a graph of deformation at Mount Merapi. During this week, the DOAS (Differential Optical Absorption Spectroscopy) measurement gave an average value of Mount Merapi’s maximum SO2 emissions at 92.68 tonnes / day, still within normal limits. Annex 1.c provides a graph of the SO2 emission value of Mount Merapi. This week, there was rain at the Mount Merapi observation post, with a rain intensity of 79 mm / hour for 35 minutes at Kaliurang Station on January 24, 2019. No lahar was reported in the rivers downstream from Mount Merapi. 1. The lava dome is currently in a stable state with a relatively low growth rate. 2. The volcanic activity of Mount Merapi is still quite high and is determined by the level of activity « WASPADA ». • A radius of 3 km around the summit of Mount Merapi must be prohibited to the activities of the population and climbing. • In the event of a significant change in Mount Merapi activity, Mount Merapi ‘s activity status will be re – examined. • Regarding the timing of the rainy season, people moving around the rivers below Mount Merapi are aware of the danger of lahars. 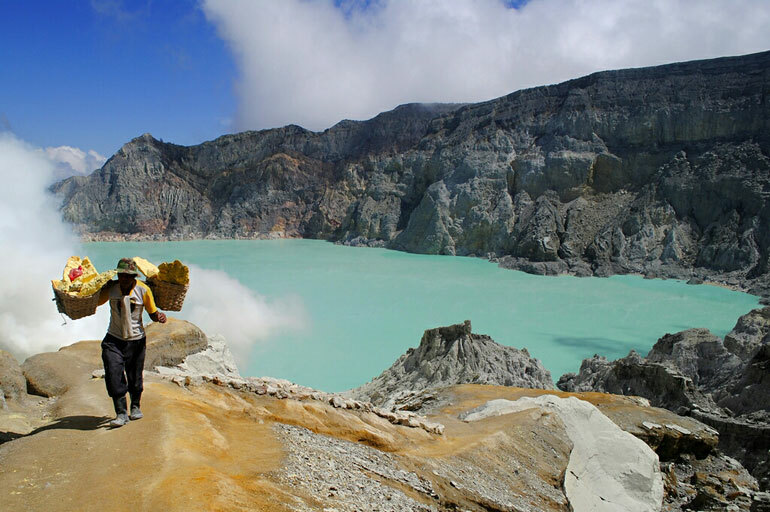 • It is recommended that local communities socialize the current state of Mount Merapi. 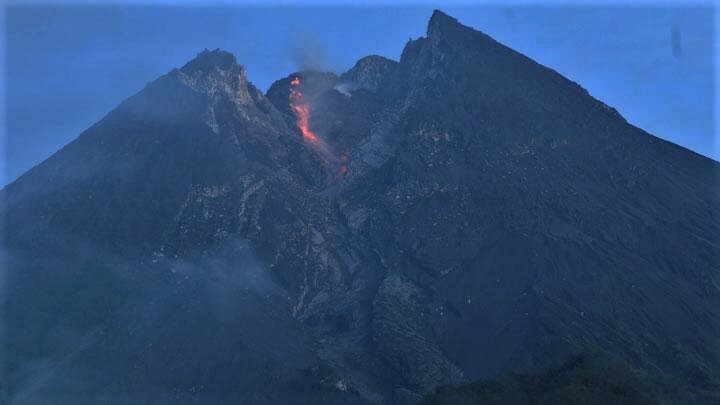 The Institute for Research and Development of Geological Disaster Technology (BPPTKG) recorded three rock-falls at the peak of Central Java volcano Merapi on Saturday, Jan. 26. BPPTKG stated on its official Twitter account that it recorded three-time rock-falls based on observations from 00:00 to 06:00 Western Indonesia Time (WIB). Based on the seismic data, the rock-fall lasted for 22-57 seconds. The weather on Mount Merapi on Saturday morning was reportedly cloudy despite clear visibility. The wind blew calmly over the volcano, with the air temperature recorded at around 22.5 degrees Celsius, air humidity reached 78 percent RH, while the air pressure was 917.2 Hpa. Source : BPPTKG , Tempo . 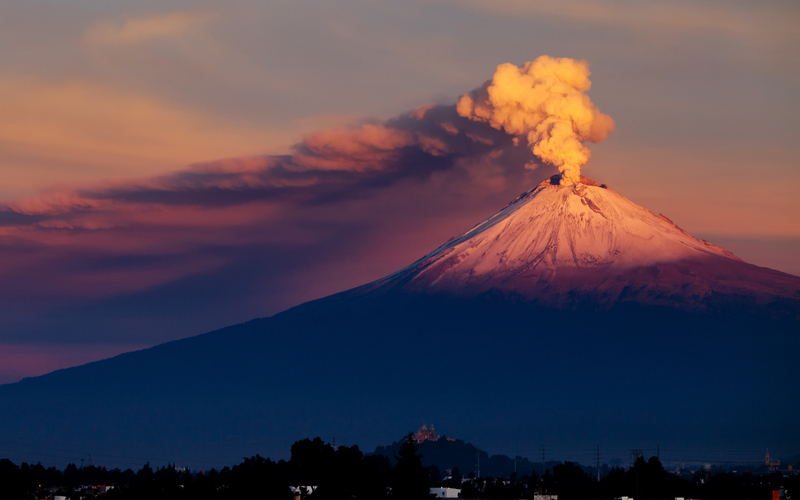 In the last 24 hours, through the monitoring systems of the Popocatépetl volcano, 112 exhalations have been identified with emission of water vapor, gas and a low ash content. In all cases, columns of 300 to 500 m high, with low ash content, were produced and have been dispersed mainly to the east. During the night, there was a continuous emission of water vapor and other gases. In addition, 20 minutes of harmonic tremor of low amplitude were recorded. At the time of this report, the continuous emission of volcanic gases dispersed eastwards is observed. 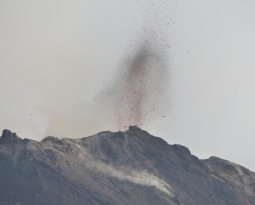 CENAPRED urges NOT to approach the volcano and in particular the crater, because of the risk of falling ballistic fragments, and in case of heavy rains, to stay away from ravine bottoms because of the risk of landslides and mudslides. 27 Janvier 2019. FR. Colombie : Nevado del Huila , La Guadeloupe : La Soufrière , Indonésie : Merapi , Mexique : Popocatepetl . 28 Janvier 2019. FR. 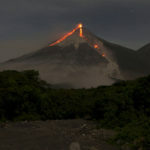 Indonesie : Karangetang , Italie / Sicile : Etna , Guatemala : Fuego , Costa Rica : Poas / Rincon de la Vieja .